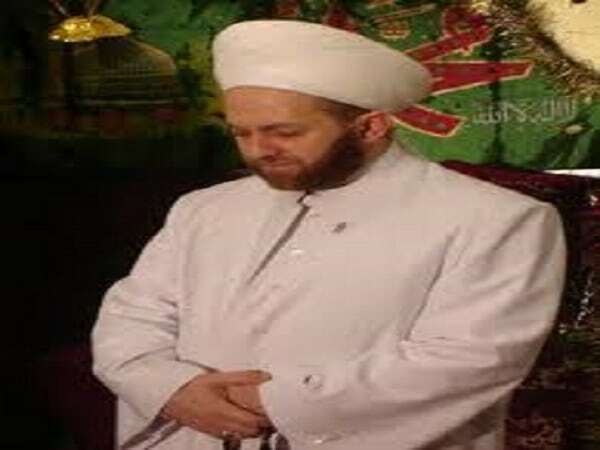 Reflections on the assassination of Shaykh Ramadan al-Bouti from Shaykh Muhammad al-Ninowy! “Yesterday we heard about the martyrdom of our Shaykh and Ustadh, Sayyidi Al-Allama Muhammad Sa’id Al-Buti, may Allah Ta’ala accept him among the Shuhada in the highest levels of Jannah. Amin. He was martyred by a suicide bomber right in his Masjid where he lectured for decades now, coincidently named: Masjid Al-Iman. He was martyred in the middle of his regular Qur’anic Tafsir Halaqah. But neither the sanctity of the House of Allah nor the Book of Allah mattered to those extremists who eagerly wanted to silence him, and when they failed to academically, textually, spiritually, and humanly refute him, then instead of accepting the difference in views, felt the need to blow him up and shatter his honorable body into pieces, and shed his honorable blood to mix with the pages of the Holy Book he was teaching with the Holy Masjid soil and the multitudes of Angles filling everything in between. Silent no more should we be to violent extremism and to the ideology of bloodshed to settle differences. We have been screaming for decades now, that extremism, violence and intolerance is a satanic book not a sacred book. It is an evil mixed with a sick neo-Jahili, neo-Khariji, and maybe psychological complexes, but sanitized by shiny religious rhetoric. Extremism, violence, and intolerance which leads to intellectual terrorism followed by actual terrorism is not, despite its claim, connected to the Book or Sunnah. Nothing will stop intellectual terrorists from carrying out terrorism, not the Book, nor the Sunnah, nor any sound logic, or any human value for that. The Ummah needs to go back to the Qur’an and Sunnah and their unconditional compassion, tolerance, and freedom. Fighting for freedom does not mean in anyway killing those who peacefully speak their view and understanding of the Book and Sunnah. This old Shaykh, who did not only do Tarbiyah of the nowadays preachers and scholars, but did Tarbiyah of an Ummah. Tarbiyah is not just teaching and transmitting knowledge. But even in that field, you can hardly see one Sunni preacher or scholar in the past 30 or so years who was not academically or spiritually influenced by Shaykh Muhammad Sa’id, if not a student of his in one way or another. This is pretty much throughout the Muslim world. The Ash’ari of the time and the Ghazzali of the Era, were not inflammatory titles, like many nowadays, but a closer examination of a profound scholarship and an encyclopedic knowledge that a lot of scholars felt towards Shaykh Muhammad Sa’id, Rahimahu’Allahu Ta’ala. A Mutakallem of the highest caliber, a fine Usuli rare to come by, a Sufi of the pious predecessor’s style who feared the big claims/titles and entourages of the nowadays Sufi claimers, a Faqeeh of vast knowledge that made him tolerate differences and understand other views, and a human being who feared shedding blood and afforded every human being regardless of background with dignity and respect. He spent most of his 84 years of life defending Islam and its Messenger, sallallahu alayhi wa aalihi wa sallam, articulating the Islamic principles, spreading the Sunnah, and refuting those who slandered Islam and its facts. An ocean of knowledge, humility, and spirituality that unconditionally gave without anticipation of recognition by others, nor did he seek to build a personal empire of name and fame, but consistently tried to avoid that at any cost all the time. But all that was not enough for some to spare him from vile slander, intellectual terrorism, followed by blowing up a bomb in the Masjid during a Qur’anic Tafsir session. Freedom to some means enslavement to different set of masters only. Sunnah means the understanding of their Shuyukh only, irrespective of the actual state of the sacred Texts, and justice means slandering, inciting hate and violence, naturally followed by killing all those who dare to disagree. This pattern isn’t new in our history. Sanitizing political crimes with religious rhetoric is something we saw from most if not all non-righteous political rulers or periods in our “Islamic” History. Intolerance followed by intellectually terrorizing the opponent through slandering and demonization, both of which pave the way to actually carry out violence and terrorism acts. To make it all worse, such violence and terrorism acts had to be sanitized by religious rhetoric to twist evil acts -in a very sick way- into “righteous” ones. Such pattern was not limited to ruling governments at that time only, but some radical religious groups from all sects carried out many acts of intellectual terrorism and actual acts of terror, all in the name of the religion. The target was never the perceived enemy of Muslims at that time, not that such a deed would be endorsed. Their target was not the tyrants who ruled the Muslim world for centuries, nor the oppressors who became more or less like Pharaohs’ on earth, but their target was always the Muslim scholars who disagree with them. Their true enemy is not atheism, blasphemy (Kufr), unjust rulers, or oppressors. But their enemy is all Muslims who disagree with them in understanding the texts of the Book and Authentic Sunnah. This kind of extremism in the new age is not limited to one sect versus another, and it is very much alive and well today. It replaced the Qur’an and Authentic Sunnah’s texts as a reference and a standard, to their own figures statements and understandings. The Divine texts are inclusive and contain unconditional compassion and mercy, but human statements seem to lack that infinite and unconditional compassion, love and mercy. Shaykh Muhammad Sa’id was not infallible, for the last infallible in our belief is Sayyiduna Rasoolul’Allah, sallallahu alayhi wa aalihi wa sallam, but he never taught that unity meant conformity. He always mentioned that it is okay to look at one thing (revealed text) and see it in two different ways. “Tafkir” instead of “Takfir” was always a foundation for the honorable Shaykh to articulate the differences with others. Today, with the microphones (literally and metaphorically) and platforms being limited to certain views only, big titles and grand claims being custom made and marketed, and more ideological walls of hate erected under the banner of love, the world is undergoing rapid radicalization. This is not limited to Muslims with their various sects only. There is an urgent need for all groups and sects to revive “self-criticism”, stand corrected, and return to the encompassing mercy and the fountain of love in the Qur’an and Authentic Sunnah. It is important NOT to erect idols of people we love and adore whether they’ve passed or still alive, and similarly it is important NOT to erect idols of a limited, non-definitive, and subjective understanding of the Sacred Texts. An understanding of the Sacred Texts or scriptures that lacks unconditional compassion is illegitimate, textually and logically. I guess before all, we need to re-instate the urgent need to unite around the texts of the Qur’an and authentic Sunnah, for it seems as this very fundamental principal is in jeopardy. Sayyiduna Muhammad, sallallahu alayhi wa aalihi wa sallam, emerged as the Arabic voice denouncing the old Arab ways, enduring extreme persecution from his own people. But by endangering himself, he gave us all one of the most precious monotheistic gifts: the duty of collective self-criticism. Speaking the truth though it be against yourself. Today, if we do not revive this concept, we will risk a profound cultish mentality and behavior taking over our youth from Jakarta to Morocco and everything in between. The challenge we face in our time is not as much the Sufi-Salafi debate, not even the Sunni-Shi’i irreconcilable differences, but actually more along the line of silent but progressive withdraw out of religiosity as a whole. Islam came to give people life. All people. Regardless of background. Islam did not come to take life away from people. Islam came to offer all people hope, growth and opportunity, regardless whether people believed in it or not. But Shaykh Muhammad Sa’id was ahead of his time in that. Read, if you will, “Kubra Al-Yaqiniyyat Al-Kawniyyah”, and read if you will “ Fiqh-u-Seerah”, and read and read and read…they are not books compiled by “copy and paste” from here and there, but actual masterpieces of thought and thought provoking analysis that not many profound scholars cannot begin to construct. Those very books kept many young people within the folds of Islam, and this is a fact. “Kubral Yaqiniyyat” cleared many doubts many university students had about Allah Ta’ala, His Existence, and Unique Attributes. “Fiqh-u-Sunnah” re-affirmed the faith in the Prophet, sallallahu alayhi wa aalihi wa sallam, in many minds where doubt seeped in due to incomplete or partial understanding. The list goes on. Our scholars, not just our “preachers”, along with the youths are the most valuable asset of this Ummah. None of them is perfect by themselves, but when they are united they become close to it. The Ummah has lots of preachers but not many scholars today, and the youths have a duty to search for the truth wherever it is, question truths offered to them, and check and reference every statement against the Qur’anic and Sunnah texts. Then disagree if so it is in understandings, but observe the Qur’an and Sunnah’s ethics of disagreements when doing so. Let the minds fight, but keep the hearts in love. The youths have a right to understand that Islamic knowledge is not only information, but transformation. Transformation was the state of Shaykh Muhammad Sa’id Al-Buti. He transformed himself first, and transformed those around him. A Sufi without a name, but in reality, a Salafi without a label, but in thought, an Ash’ari without rigidness, and a Shafi’i without self-righteousness. The Dunya came to him many many times, but he did not want to have lots of shoes walking behind him, and was not interested in the hunger for “titles” and the position mania. Jealousy and envy was distanced from him as his position in knowledge and practice, along with his harsh asceticism made him far away from the claimers. The chairs in his home were the very old wooden chairs that Syrians used to have in the 60’s, he did not change them. So was the desk, and the simple furniture that’s dates decades back. Ministry and cabinet level positions came begging him, but ran away from it all. Lately, a concerted campaign to smear and slander him for a position he has always held so profoundly, ended up as a cleansing process for him preparing him for something purer and greater. Yet despite all the oceans of slander and hate-incitements, he kept praying for those who disagreed with him, tried to find excuses for them, and asked them to come and talk, not to use violence to express themselves. 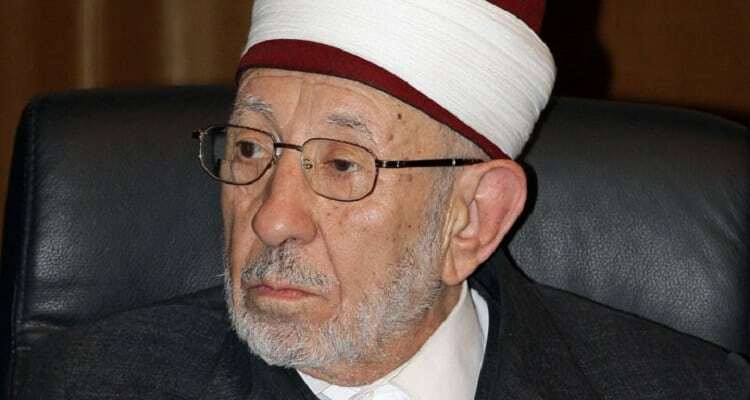 There is no doubt that the corrupted and oppressive regime in Syria used the principals of Shaykh Al-Buti to its benefit in the past and presence. But the Shaykh was always giving all sides his wisdom, and was not one sided. Unlike the popular propaganda, Shaykh Al Buti did not endorse the oppression of the regime, but stood firmly against armed rebellion and raging violence that is not only unsubstantiated textually, but leads to the destruction of humans and lands. He profoundly believed that violence to change a political situation or a sitting ruler constitutes a greater evil and is impressible. His position does not come from emptiness, despite the powerful media campaigns nowadays that suggests otherwise. This is a classical understanding held by many of our traditional scholars of Ahlus Sunnah wal Jama’a starting from examples that had to deal with Al-Hajjaj and before and after. Irrespective of what the academic conclusion of the “permissibility of violence to change a political circumstance”, this should have been an academic difference, to say the least. The greatest tragedy in Syria today is not just turning a beautiful country into shambles, but the people and forces that are pushing so hard to destroy the actual humanity inside the human being, to rob the soul out of people conscious, and to eradicate any human values, mercy, or compassion left. The walls of hate that are being erected under the banner of love, the planting of a hate ideology that those who disagree with you have no place in life, and that hope is only extended to those you like. The situation in Syria specially and in other Muslim places has just plunged into a deep dark hole, with a promise for more killings and more violence and more evil to come. Please pray for peace to be restored to Syria, all the Muslims, and all human beings all over the world. Pray for mercy to be on all those who lost in their lives in this mad chaos and unfathomable violence, pray for the destitute and refugees that are in the millions today, pray for all afflicted human beings to be saved and granted ease. Pray that Allah Ta’ala saves people, all people, from more bloodshed and misery. As for our Shaykh, may Allah Ta’ala forgive him, bless him, accept him among the martyrs, and grant him the highest levels in Jannatul Firdaws. Amin.”.